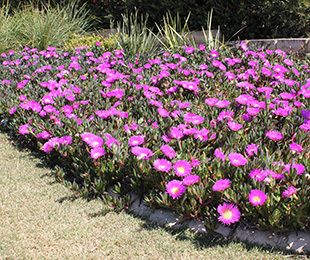 Aussie Rambler™ Carpobrotus is an Australian, prostrate creeping succulent that has long trailing stems up to 2m. 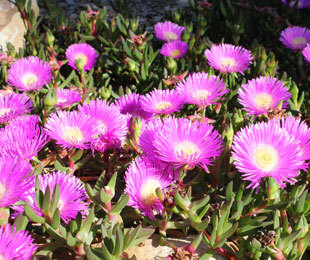 Commonly called Pigface, this native Carpobrotus produces large deep pink flowers in spring and autumn with purple stems. 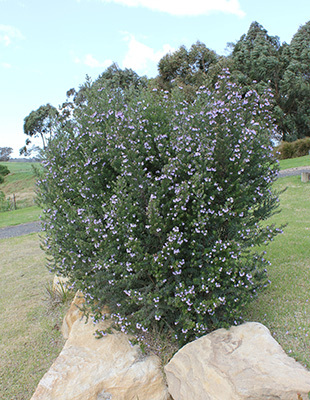 Great for rockeries, mass plantings, a sand dune stabiliser or for any low maintenance gardens in inland and coastal positions. Has grown well in Canberra with temperatures down to -8 degrees Celsius. 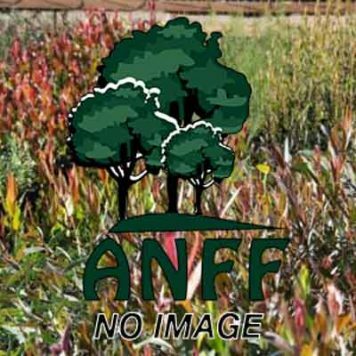 Uses: Ground cover for coastal and inland plantings. Position: Full sun to light shade. Suits most soil types. 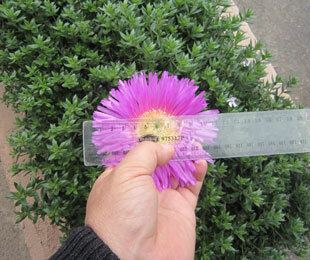 Tolerates frost, drought, humidity and salt. Avoid prolonged wet feet. Care: Water as required for 8-13 weeks until established. Plant in a well mulched garden (chunky mulch is recommended). If required use slow release fertiliser in spring. Prune if ever required.